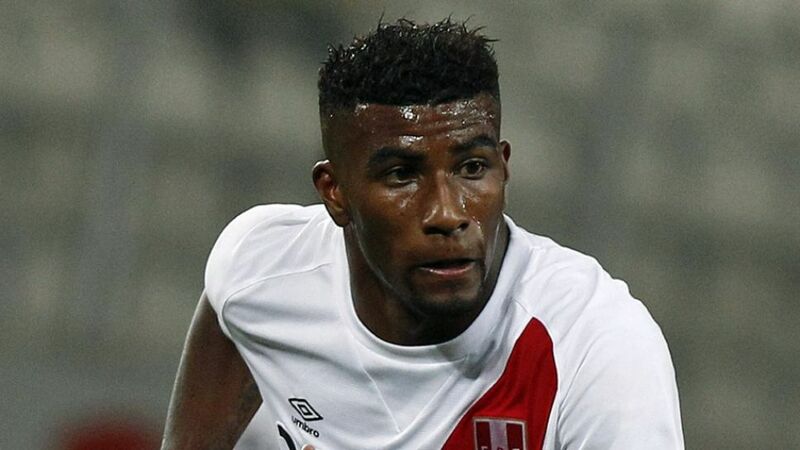 Wolfsburg - VfL Wolfsburg have signed Peruvian international Carlos Ascues from FBC Melgar. The 23-year-old defender, who becomes the Wolves' third piece of business this summer, has put pen to paper on a three-year deal at the Volkswagen Arena. "We have signed a versatile young player who has predominantly played in a defensive role so far in his career," said the club's sporting director Klaus Allofs. "Carlos has not reached the end of his development as a footballer yet and will now be able to take the next step with us." "We were looking for reinforcements in defence," added club coach Dieter Hecking. "As a young player with plenty of potential for development, Carlos fits the bill perfectly. His ability to play in a variety of positions made the decision to sign him even simpler. He has the potential to make a long-term impact on the Bundesliga." "I'm very happy and grateful that I'll be playing in Germany and have the chance to prove myself in one of the strongest leagues in the world," explained Ascues. "The adaption from Peruvian to German football won't be straightforward but I'll do all I can to settle in and integrate quickly. I'm going to give everything so that Wolfsburg can be as successful this season as they were last." Ascues made his international debut in August 2014 against Panama, scoring twice. He now has 12 Peru caps and five goals to his name and featured in all six of La Blanquirroja's games at the Copa America 2015 as they finished third.